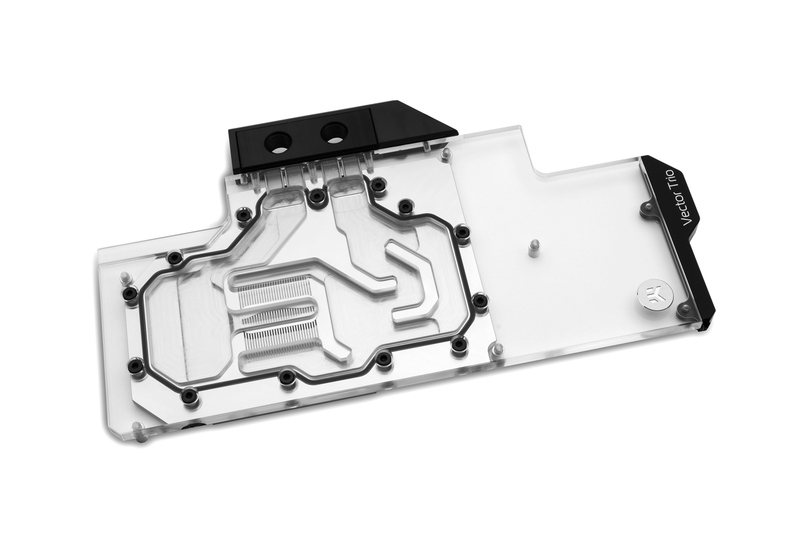 EK®, premium liquid cooling gear manufacturer based in Europe, is introducing its new generation of high-performance water blocks specially designed for MSI Gaming X Trio GeForce® RTX™ series graphics cards, based on Turing® graphics processor. The block also features a unique aesthetic cover over the block Terminal which is designed to showcase the graphics card model via LEDs, visible from the side. The EK-Vector Trio RTX series water blocks and backplates are made in Slovenia, Europe and are available for pre-order through EK Webshop and Partner Reseller Network. Pre-orders for EK-Vector Trio RTX will start shipping on Friday, 12th of April, 2019. In the table below you can see the manufacturer suggested retail price (MSRP) with VAT included. EK-Vector Trio RTX 2080 Ti RGB – Nickel + Plexi 154.90€ Order now! EK-Vector Trio RTX 2080 Ti RGB – Nickel + Acetal 149.90€ Order now! EK-Vector Trio RTX 2080 RGB – Nickel + Plexi 154.90€ Order now! EK-Vector Trio RTX 2080 RGB – Nickel + Acetal 149.90€ Order now! EK-Vector Trio RTX 2080 Ti Backplate – Black 39.90€ Order now! 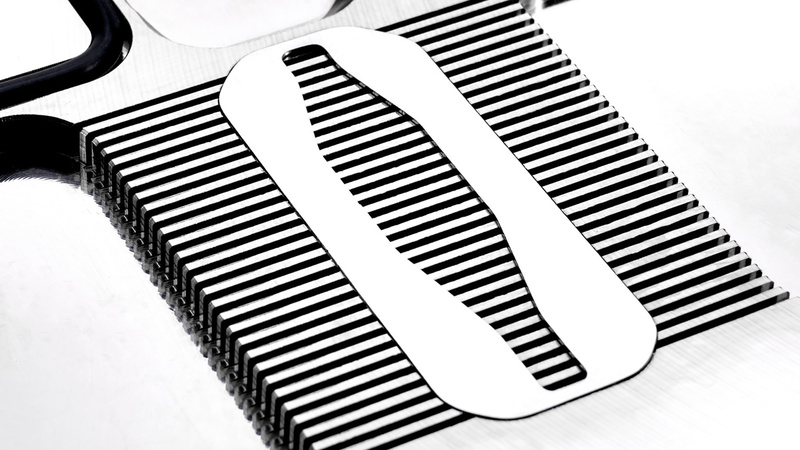 EK-Vector Trio RTX 2080 Ti Backplate – Nickel 47.90€ Order now! EK-Vector Trio RTX 2080 Backplate – Black 39.90€ Order now! 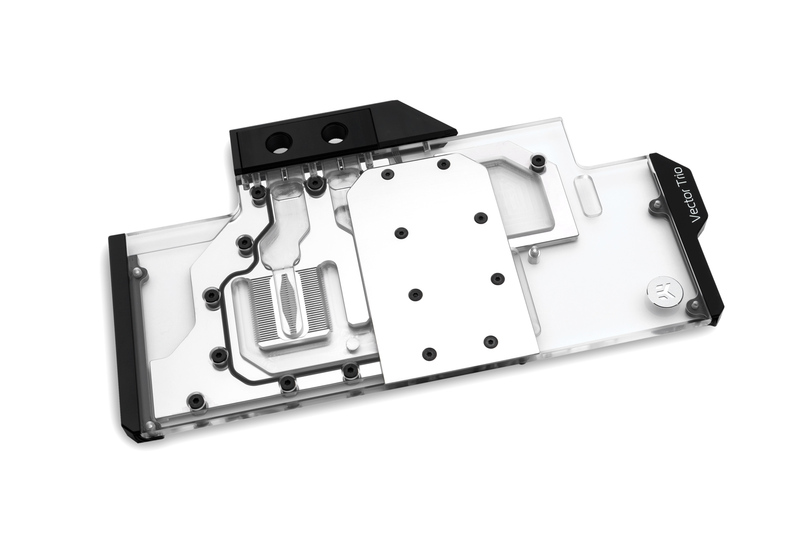 EK-Vector Trio RTX 2080 Backplate – Nickel 47.90€ Order now!